You may be off the grid, but you’re not out of touch. While at sea, you can stay in touch with family, friends and colleagues by cell phone, Internet/Wi-Fi, phone or mail. Please read this section carefully to learn about your options and applicable charges. Prepaid Internet packages can be purchased in incremental packages, based on the number of minutes you plan to use. Internet access on Azamara ships is available at In Touch on Deck 10, 24 hours a day, from the day of departure until 6:00 a.m. on debarkation day. Wi-Fi (Wireless Internet access) is also available through most of the ship. To take advantage of our wireless Internet service, you must bring your own laptop, which must have a wireless network card. Safari®, the default browser for Apple®, must be Version 3.0 or higher to ensure compatibility with the onboard wireless network. Due to the nature of Internet access at sea, service interruptions may occur. The Internet service you’ll find on board via Wi-Fi and at eConnections is provided by a satellite connection. This connection can be affected by several factors that can interrupt or slow down Internet service on the ship. While natural features like Icelandic fjords are breathtaking to view, the high rock walls can block the satellite signal. This signal can also be blocked by large buildings when in port. Changing the ship’s course at sea can also cause temporary connection issues. The following tips will help you make the most of your time (and money) while online. Connect at off-peak times: Increased users will limit bandwidth available on board. Try connecting to the Internet in the evening when fewer users will be online, or in port when most travelers are off ship. Avoid bandwidth-heavy services: Using social media to stay in touch doesn’t take up much bandwidth, but video streaming services can be a drain on the ship’s available bandwidth and cause connectivity issues for all on board. Compose messages offline: Write emails or social media posts in a word processing or notepad application before going online. Once you’re connected, copy and paste the message to send quickly and easily. Be patient: Our ships can only connect to one dedicated satellite to provide Internet service onboard. Because we don’t have the ability to hop to another satellite, any slow downs or disruptions in service won’t be remedied until the ship moves. Through an agreement with AT&T and Wireless Maritime Service, Azamara Club Cruises offers an advanced roaming network that lets you make and receive calls using your own mobile phone and telephone number. Gentle reminder: bring your cell phone charger. If your home carrier supports GPRS data service, you can use a mobile phone service with compatible GPRS data-capable devices to check email, surf the web, and share photos while traveling, just as you would at home. Charges will be billed by your home carrier. Most users can check their messages by pressing and holding the "1" key. Please note that some home carriers charge for messages deposited to and retrieved from voicemail while a customer is roaming. Contact your home carrier Customer Service department with any questions about using your voicemail. If your home carrier supports GSM, text-messaging service is available on compatible GSM devices. Contact your home carrier Customer Service department with any questions about using text messaging. All mobile phone users: As a courtesy to other guests, please set your ringer to vibrate and avoid loud conversations while in public areas. AT&T customers can take advantage of the AT&T Cruise Ship packages, which provide discounted rates while sailing aboard Azamara Club Cruises®. 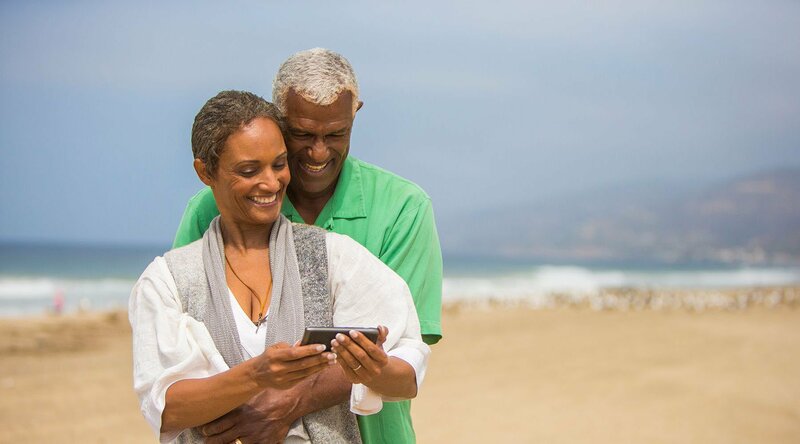 Now when you take a cruise, you can get away from it all but still stay connected to important things back home. To add one of the packages below, call +1.916.843.4685 (a free call from your wireless phone while onboard the ship). This offer is limited to and rates apply only to Azamara Club Cruises® and select other cruise ships. On-ship networks operate only while in international waters. Therefore, your AT&T Cruise Ship package allowances and overage rates for usage on-ship only apply when "Cellular at Sea" displays on your device. To the extent you are attached to land-based networks in Canada, Mexico and the Caribbean only, cruise ship allowances and overage rates also apply off-ship. Everywhere else, (including where "Cellular at Sea" is not displayed), pay-per-use rates apply, unless an additional current package offer applicable to the country visited is active on your line of service. Usage onboard a cruise ship is required. See att.com/cruiseships for a list of ships, Caribbean islands and additional offer details. This offer is available only through AT&T Customer Care. Eligibility rules apply. Availability, quality of coverage and services while roaming are not guaranteed. For rates and full details, see att.com/global and att.com/wirelesslegal. One-month minimum required. See att.com/cruiseships for list of ships and details. If you remove the cruise ship package before your monthly bill cycle ends, the included monthly minutes allotment will be reduced proportionately. The international data offer must be added to an existing domestic data plan. Messages received while roaming are billed at applicable domestic rates. To the extent you also purchased a Travel Minutes, Global Messaging or Data Global Add-On package for use when attached to land-based cellular networks in Canada, the Caribbean or Mexico, those rates will prevail over the Cruise Ship package allowance or overage rates. To the extent you continue to use expired calling offers such as World Traveler, AT&T Canada or AT&T Mexico, the Cruise Ship rates will prevail. International Roaming: Compatible Device required. Your plan may include the capability to roam internationally. AT&T, in its sole discretion, may block your ability to use your Device while roaming internationally until eligibility criteria are met. International roaming rates, which vary by country, apply for all calls placed or received, all messages sent and all data used while outside the U.S., Puerto Rico and U.S.V.I.. Many Devices, including iPhone, transmit and receive data messages without user intervention and can generate unexpected charges when powered "on" outside the U.S., Puerto Rico and U.S.V.I. Visual Voicemail messages are charged at international data pay-per-use rates unless customer has an international data plan/package, in which case receipt of Visual Voicemail messages decrement Kilobytes included in such plan/package. For rates and full details, see att.com/global and att.com/wirelesslegal. Rates for mobile phone use are determined by your home carrier. Please note that calls to 800, 888, 866,and 877 numbers are not toll free. You will be billed by your home carrier for international roaming usage on your regular mobile phone bill. It can take up to 60 days for these charges to appear on your phone bill. Please contact your home carrier Customer Service department with any questions about service, charges and billing procedures before departure. Azamara Club Cruises staff does not have access to your service information or billing records. Actual service availability depends on home carrier participation and service permissions. Mobile phone service is provided by Wireless Maritime Services. Requires compatible wireless phone and qualified wireless service with a home carrier provider that has a roaming agreement with Wireless Maritime Services. Your home network will determine the international roaming rates you pay for usage. Wireless Maritime Services provides CDMA ,GSM voice and GPRS data service. Other service features may not be available. Voice usage is measured during the time you are connected to our system, which is approximately from the time you press the button that initiates or answers the call until approximately the time the first party terminates the call. Voice usage for each call is billed in full minute increments with partial minutes rounded up to the next full minute. Data usage for each billing record will be rounded up to the next kilobyte and a cost will be associated with each billing record and rounded to the nearest cent. Availability, timeliness and reliability of service are subject to radio transmission limitations caused by system capacity, system repairs and modifications, your equipment, signal strength, weather and other conditions. You will only be able to call and text message to certain countries. Other restrictions and limitations apply for service. Wireless Maritime Services and your home carrier are not affiliates of Azamara Club Cruises, and are solely responsible for the services, charges and customer service support provided to you. You will be billed by your home carrier for your international roaming usage on your regular mobile phone bill. Numbers for North American and popular International Carriers services are listed below. Please check with your home carrier for availability. Calls to USA, Canada, and the Caribbean: Dial 1 + area code and number, just as you would at home. Calls to other countries: Dial "+," the country code and the full number (CDMA users: Dial "011," the country code, and the full number). Visit Cellular @ Sea for more information about your carrier. Friends or family can reach you 24 hours a day via Azamara's Satellite Service. Your friends and family can contact the ship by calling (866) 459-8990. From outside the United States, they can call (732) 335-3297. The cost is USD $7.95 a minute and can be charged to American Express®, MasterCard®, Visa®, Discover® or Diners Club®. From outside the U.S., additional long distance charges apply. If you have an emergency situation where you need to reach any of our guests while they're onboard, please send an email to JourneyGuestEmergency@Azamara.com or QuestGuestEmergency@Azamara.com. Please limit use of these email addresses to emergencies only. You'll be able to mail postcards and letters from various ports of call. Our Guest Relations staff can tell you how, when and where to post mail. Remember, in most cases you will probably arrive home before your mail. If incoming mail is received in port, it will be delivered to your stateroom as soon as possible.